The thyroid plays a key role in maintaining the health of your body. An over-active thyroid, or an under-performing thyroid, complicates your health and changes your body's system. 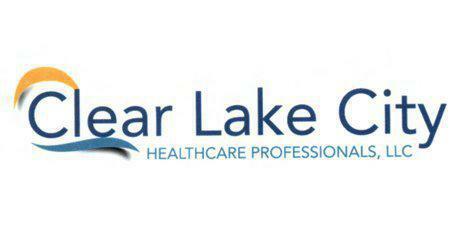 At Clear Lake City Healthcare Professionals in Webster, TX we address potential complications at an early stage. The thyroid is a gland found in your neck that produces hormones in your body. The glands work with your adrenal glands, parathyroid glands, and other systems in your body to maintain your hormonal balances and keep your body healthy. What Happens when Thyroid Problems Develop? Health complications associated with your thyroid differ based on your situation and health. An over-active thyroid often impacts your hormone levels by producing more hormones than your body needs. An under-active thyroid, on the other hand, may result in low levels of hormones in your body. The changes to your hormone levels may result in complications with other systems. Over-production or under-production of certain hormones may result in complications with your adrenal glands because the adrenal glands also play a role in hormone production. A low level of hormones may result in poor adrenal gland production, which results in too little cortisol in your body. On the other hand, high levels of hormones from an over-active thyroid may cause excess cortisol and stress hormones from the adrenal glands. Your parathyroid glands, which regulate calcium in the blood and bones, may also relate to problems with your thyroid. You may develop hyperparathyroidism, which often relates to tumors in the parathyroid, and have a high level of calcium in your blood. Alternatively, you may have less calcium production due to hormonal complications. At our clinic, we treat thyroid conditions after identifying the causes and complications. We may recommend medications in an early stage. If the problems persist or we find a tumor, then we may suggest surgical treatments for long-term health and well-being. Your thyroid plays a key role in your health. When problems develop in your thyroid or systems related to the thyroid, we offer medical treatments in Houston to help with your recovery.